éxico’s pavilion at the far end of the Arsenale complex seems an idyllic setting. First impressions are misleading inside the historic Sale d’Armi, the site of the artist Carlos Amorales’ sculptural, film and musical installation, Life in Folds” reports The ArtNewspaper on México’s type-inspired pavilion at this year’s La Biennale. “What looks and sounds like a fairytale with a folkloric soundtrack is a much darker affair, abstract art meets film noir, in fact. 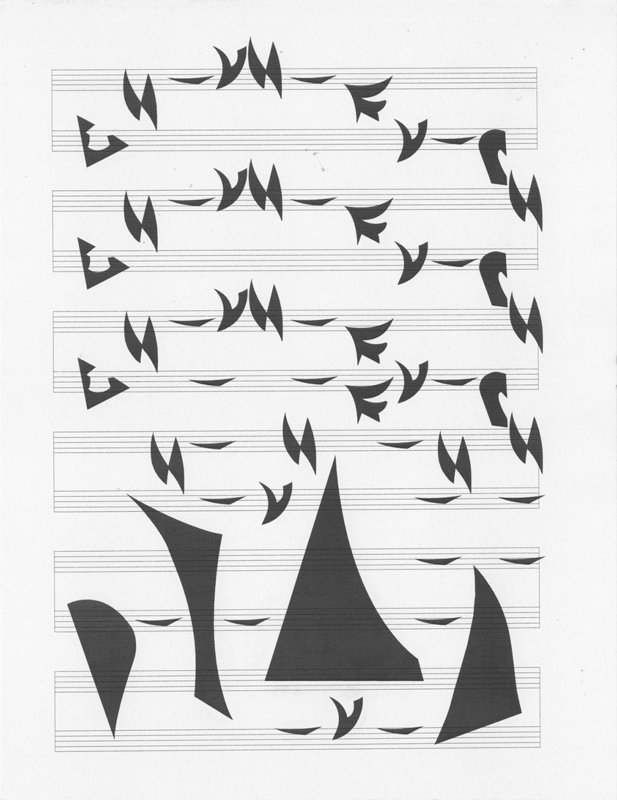 The angular black shards are clay pipes, which musicians play at regular intervals, their strange shapes form an encrypted alphabet reproduced in framed wall texts. 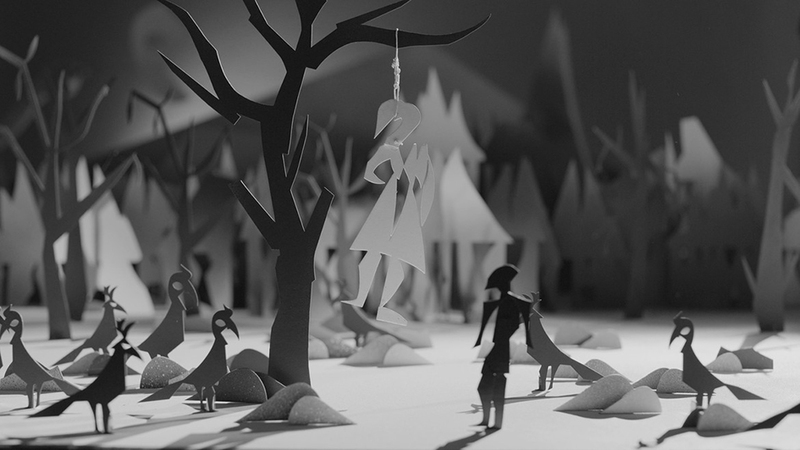 On a screen they become cut out figures in a forest, and there lies the twist. A fleeing family is shown being lynched instead of welcomed. 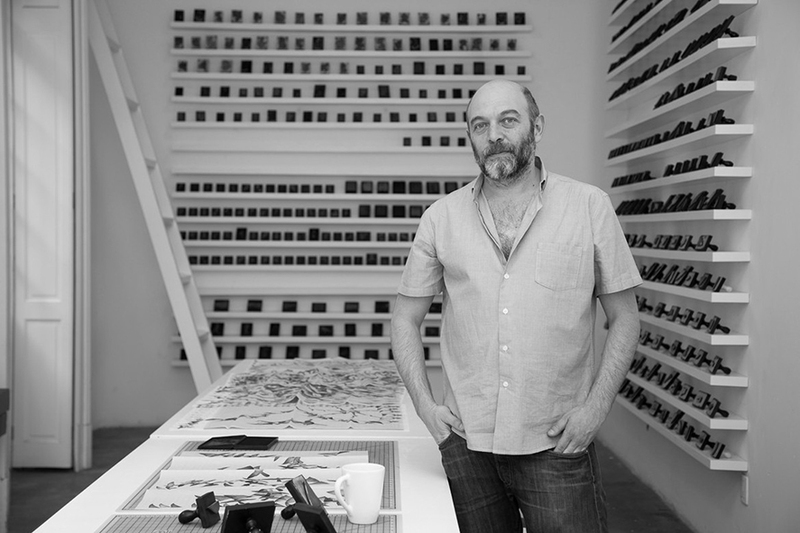 Pablo León de la Barra, the curator who organised the pavilion, says that Amorales uses an abstracted language to express that such traumas happen around the world - not just in México or the US” concludes the report on the proposal by the artist Carlos Amorales with the curatorship of Pablo León de la Barra, whose project represents México at the 57th International Art Exhibition. This year México commemorates the first decade of its participation with an official pavilion in Biennale Arte 2017, the most important event to promote contemporary art worldwide. To celebrate this special occasion, INBA has selected Carlos Amorales with his work Life in the folds, in which the artist “introduces us to a world where prints, sculpture, music, and cinema combine to give life and form to a new way of looking into reality, which materialize critical thinking and today’s problematics in contemporary art”. "The first participation of our Country in the Venice Biennale can be dated to 1950 with the presentation of muralist works from David Alfaro Siqueiros, José Clemente Orozco, Diego Rivera and Rufino Tamayo. In that year, David Alfaro Siqueiros was awarded with the First Price to foreign artists. In words of La Biennale “The astonishing pictorial violence of the Mexican Pavilion was a revelation”. Carlos Amorales has been interested in how images and words give form to reality and determine us. Thus, since thee mid nineties, he has done a series of projects in which he questions the link between art and society in relation to language and subjectivity, forms of power, and institutional practices. 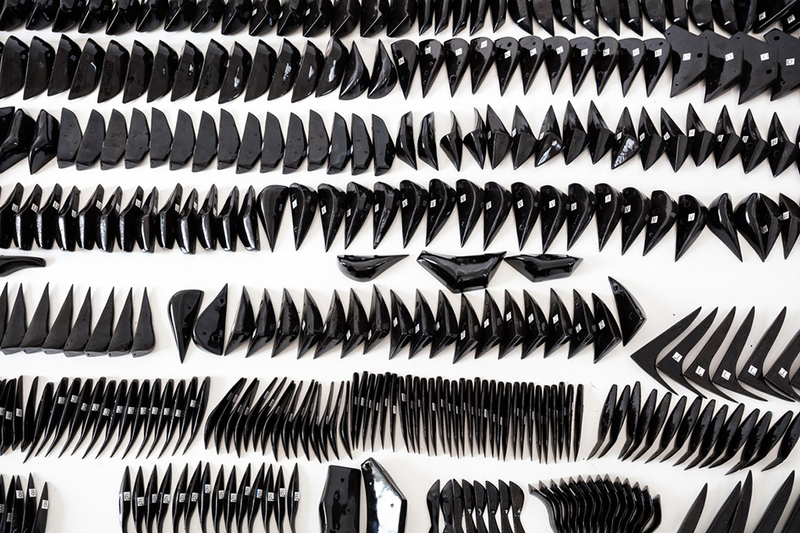 In continuity with previous research, Amorales' Life in the folds introduces a formal language that unfolds in a variety of media within the installation. The artist developed a series of compositions that transit from abstraction to an ilegible text, and this, to a phonetic language and to three-dimensional forms that emit music, to converge cinematographically in the story of the lynching of a migrant family. The installation borrowed its name from the eponymous novel of Henri Michaux, in which he treats diverse poetic means to deal with suffering in the immediate postwar period. The exhibition is originated from the series of paintings Geometric splendor, project accomplished in 2015, and that originated the abstract forms that are the seed of Life in the folds. It opens with a set of poems written in an encrypted alphabet created by the artist with abstract three-dimensional shapes. The texts displayed on seven tables, that formally refer us to paper sheets, imply a transition from the typographic to the phonetic. Each letter is a ceramic wind musical instrument, also known as ocarina that, when played, releases a specific sound for each letter. 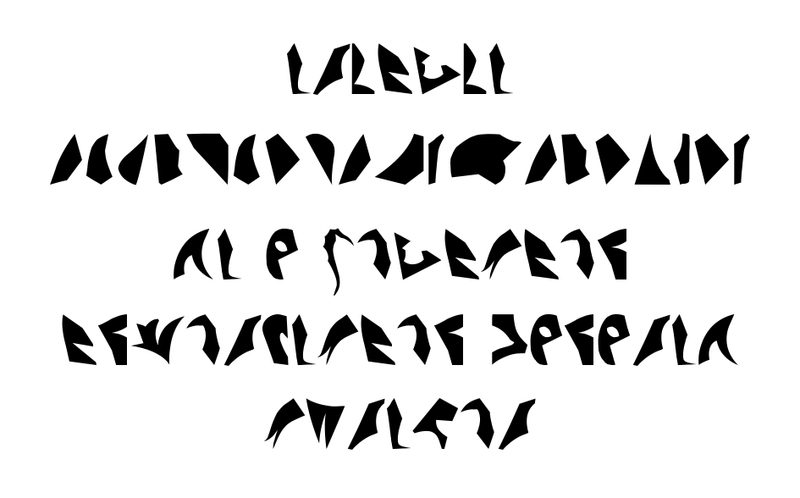 This coded language can be interpreted verbally, but can also be played as music. Around a thousand ocarinas establish a relation with a graphic musical score of 92 pages mounted on the walls of the pavilion. All these elements come together in the film The cursed village, which narrates the story of a migrant family that is lynched as they arrive to a foreign town. 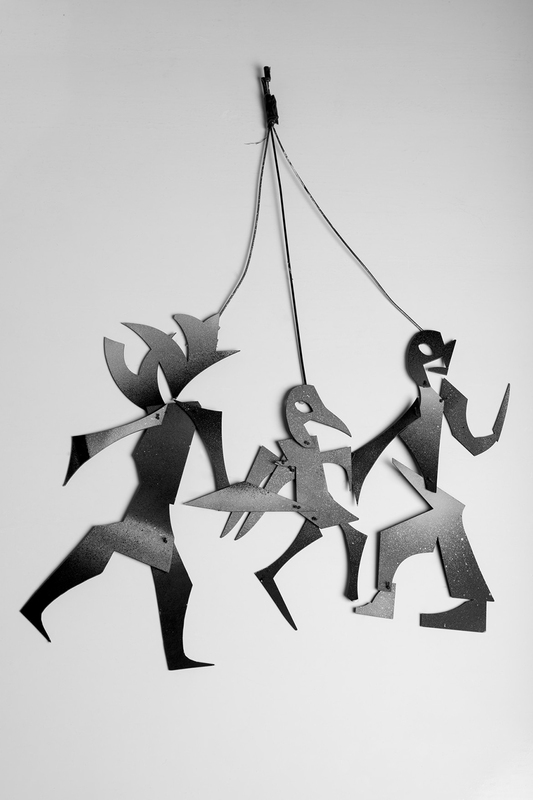 Where a puppeteer controls the characters of the story and a music ensemble playing the ocarinas, interprets the soundtrack, dialogues, and soundscape of the film. Mexico-based Carlos Amorales is a multidisciplinary artist who explores the limits of language and translation systems to venture into the field of cultural experimentation. He uses graphic production as a tool to develop linguistic structures and alternative working models that allow new forms of interpretation and foster collectivity. In his projects, Amorales examines identity construction processes, proposes a constant re signification of forms present in his work, and provokes a clash between art and pop culture. His research processes are complex; they are based in an ample repertoire of empirical methodologies to develop extensive projects that conjugate historical, cultural, and personal references. 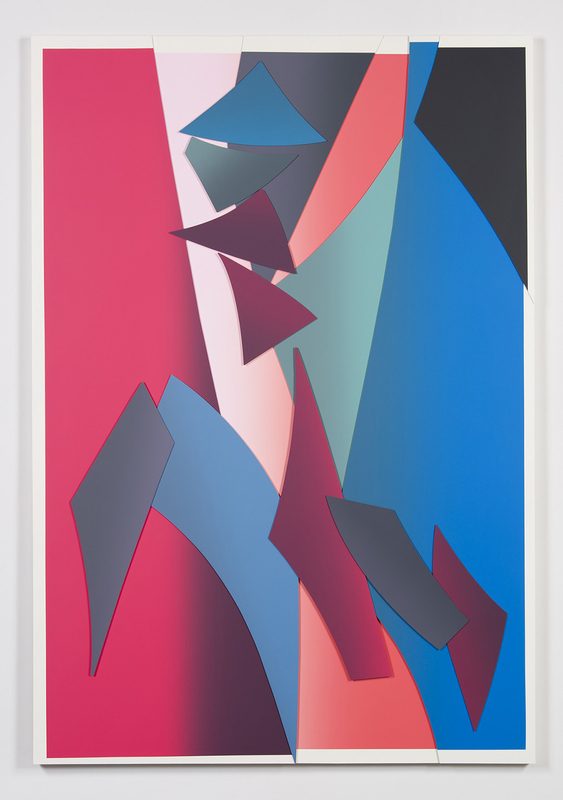 His practice expands to diverse media such as drawing, painting, sculpture, or collage; as well as performance, installation, animation, sound art, film, writing, among other non-traditional formats. He studied visual arts in the Gerrit Rietveld Academie and the Rijksakademie van Beeldende Kunsten, both in the city of Amsterdam, Netherlands. 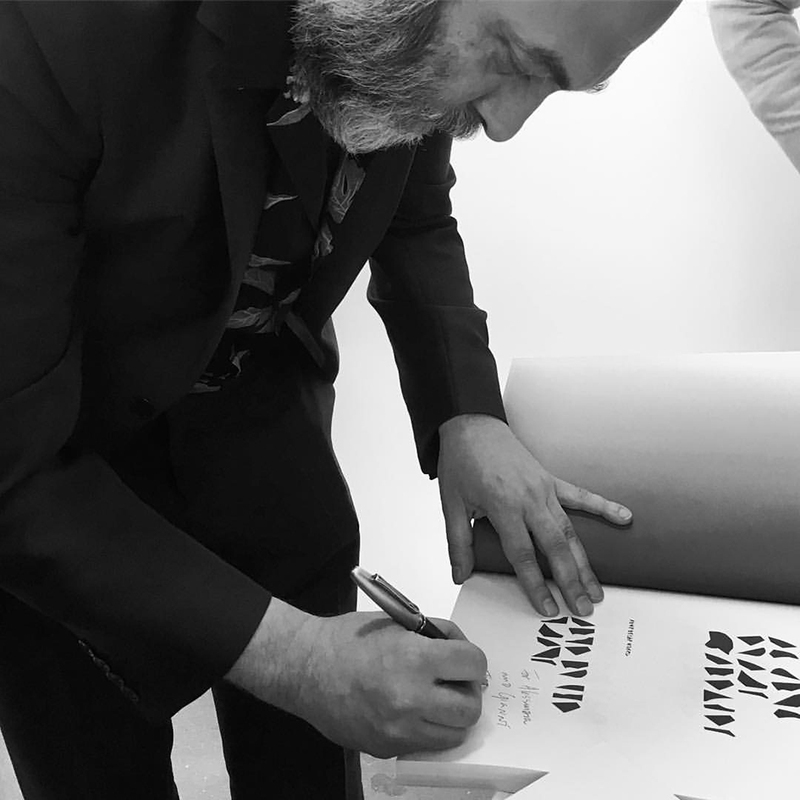 The most extensive researches in his work encompass Los Amorales (1996-2001), Liquid Archive (1999-2010), Nuevos Ricos (2004-2009), and a typographic exploration in junction with cinema (2013-present). Life in Folds is curated by Pablo León de la Barra who lives and works in London and Rio de Janeiro. León de la Barra is the Curator for Latin America at the Solomon R. Guggenheim Museum, New York, and co-curator at MASP, Sao Paulo; from 2013 to 2016 he was the Guggenheim UBS MAP Curator, Latin America at the former institution. He was also Director of Casa França-Brasil, Rio de Janeiro during 2015-16.